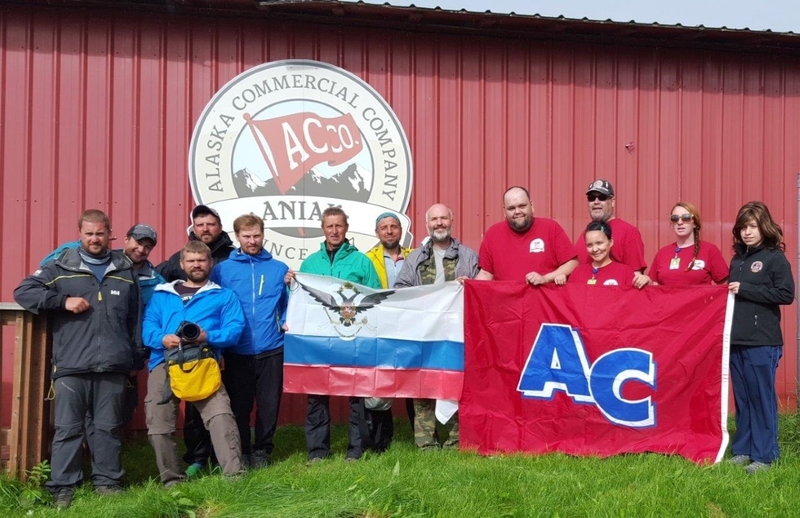 Dr. Mikhail Malakhov, Russia's most celebrated polar explorer, returned to Alaska this month, to undertake another grueling expedition retracing portage and trade routes used by early Russian explorers, particularly in Southwestern Alaska. This year he, his two sons and six other adventurers started their journey in Dillingham. Greeted by the Dillingham team, the explorers were treated to a welcome reception which included cake and refreshments. On July 20th the adventure began with kayaking the Nushagak River, up through the Wood-Tikchik State Park to its upper reaches on Nishlik Lake and then a portage over the Kilbuck Mountains to the Aniak River, ending their quest in the village of Aniak on the Kuskokwim River on August 14th. The community of Aniak greeted Dr. Malakhov and his crew with a BBQ in the ACC parking lot. His crew got to share their stories with the community and meet with everyone. Many community members brought side dishes of Yup’ik and Russian cultures to add to the celebration. ACC presented Dr. Malakhov and his crew an ACC flag signed by the community in recognition of their accomplishment.